Top Cheap Drones 2019: Which is the Best Cheap Drone under $50? 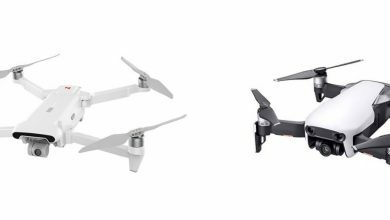 Home>Featured>Top Cheap Drones 2019: Which is the Best Cheap Drone under $50? Looking for the Top Cheap Drones 2019? Here is a compiled list of the best entry-level cheap drones you can buy this 2019. There are ton of companies making ton of Drones. The love for buying a quadcopter is the major reason behind the increase in demand for RC Flights. We have included all the best cheap drones with camera and without camera under $50. Interested to find out what are the Best Cheap Drones under $50? Let’s get started! Entering into the list of Top Cheap Drones 2019 is a MAVIC DJI Clone. 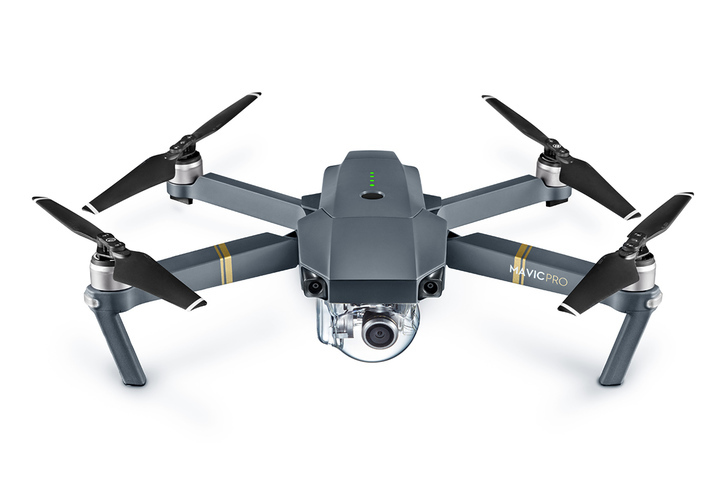 The TIANQU VISUO XS809HW quadcopter borrows the same design of the Mavic Pro by DJI. It is a budget drone that borrows the aesthetics of Mavic. Let it be clone or not there is absolutely no way that you would miss to love the design of VISUO XS809W Foldable RC Drone. With the presence of Air Press Altitude Hold feature it tends to enable the XS809W Drone to stay stable and fly with lot more precision. It also helps to stay firmly at a certain height. The TIANQU VISUO XS809W Drone is a foldable RC Quadcopter which is super easy to fit in your backpack. The device also supports G-sensor Mode which enables the multicopter to move in accordance with your smartphone. The TIANQU VISUO XS809HW comes with a 3.7V 900mAh which roughly performs around 10 mins of flight time and further can be charged using a micro USB cable. Buy TIANQU VISUO XS809W Foldable Drone for just $38.99! Jumping straightforward, the SG106 Drone is super impressive. It has G-Gestures which means now you can handle or control the SG106 Quadcopters direction it is flying just by your mobile phone. Oh! It doesn’t stop there: You are also getting optical stream & 6-center GYRO-Sensor which means the you’re going to have a great experience flying this guy. The drone also offers a one-key return feature which helps your drone to your take-off place without any issue. The SG106 Drone offers an Autonomous Follow Mode which is pretty efficient with the help of an inbuilt algorithm and impressive sensors that allows the drone to follow you and capture the next beautiful moment in your life. Not to lie! The drone is super stable and for the price the flying experience is amazing. One more amazing fact is that for just $40.99 you’re getting a HD Dual Camera setup on the SG106 Drone. As a split-up you’re getting a a frontal 1080p wide-angle sensor and on the down-side: 720p sensor. Not Kidding! For $40.99 what more to ask for? Also Read, Honor Band 4 Review! Buy SG106 22mins Flight RC Drone for just $40.99! Here we go! A worthy competitor in the list of Top Cheap Drones 2019. The X12 wifi FPV RC drone, with 720p wide angle lens and 480p wifi camera that transmits videos in real time. 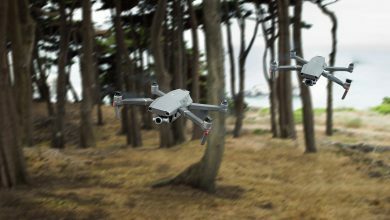 Let’s see the features of the X12 model, the first is the altitude hold mode: when the drone is in flight, it gives a balanced control and can take clear fine photos for a 2MP camera. The next is the waypoints: this is the way to set a flight path on the APP interface for the drone. The Headless mode: there is no need to manually regulate the position of the aircraft during the preparation of the flight. What’s more? It can do a 3D flip and a neat flight! The X12 model is very much easier to manipulate and hence can do one key return, one key take off, one key landing. The control is very much similar to an Xbox controller and the battery is 3.7volts 1000mAh Lipo but for the drone is going to be a little bit harder to find spare batteries. They have built coreless motors that are reliable and mighty. Foldable design, easier to manage. Fora better anti interface performance, they have used 2.4Ghz technology. For the APP download, they have provided the QR code in the manual itself. It is controllable up to 100 to 150 meters and the charge time took around 40 mins and for some up to 60 to 80 mins. The camera quality is lacking but for this price and a 2MP camera, it’s definitely worth it! 10 people who took to social media had latency issues. More of a delay in the control and a few even found that the 1st time video recording didn’t actually work. But, it’s definitely a worthy product under this price. A DJI Mavic Clone that won’t dissapoint! Buy X12 WiFi FPV RC Drone for just $39.99! The Bellwether Drone is a definite winner in this list of the Top Cheap Drones under $50 for 2019. The JJRC H68 Bellwether drone is another clone of the Phantom 4 but surprisingly turns out to be one of the best budget drones I’ve used. On the technical aspect the device carries 3.7V 1800mAh LiPo which in-turn offers a freaking 18-20 mins of flight time. That is probably the best you can get from a under $50 drone. With the stock charger it takes around 2 hours to full backup. Visually it looks beautiful. Although you’re going to have trouble carrying around as the JJRC H68 Drone turns out to be a non-foldable drone. In the box you also get 4 Extra Propellers for backup. Unlike all the other drones that we saw till now, the JJRC H68 Bellwehter Drone comes with the traditional joystick type controller and this turns out to be the most interesting aspect of this drone. Another cool fact is that the H68 Drone comes with a 0-45 deg adjustable wide angle camera. The camera on sheet is a 720P WiFi capable of streaming videos in real-time. Which can be viewed on your smartphone with an app. Buy JJRC H68 Drone for just $46.99! Also Read, 10 Best Chinese Laptops 2019! First of all the S9 Micro Drone comes at insanely cheap price. It could possibly be no way that you can go wrong on choosing a under $15 RC drone. I’m not a huge fan of micro drones but the S9 Micro could possible be by far my favorite small RC Drone. Cut-sort the S9 Micro Drone is Cheap, Super Fast, Stable than I expected and super portable. If you want to gift someone something cool, then the S9 Micro Drone is a freaking great choice. Considering the price the drone gives a pretty decent flight time of 7-8mins. Also the battery is non-removable. For just $14.99 you get: 6-axis Gyro Sensor, a Headless Mode and a one Key Return! Buy S9 Micro Foldable RC Drone for just $14.99! Mini Drones are all about fun and excitement. JJRC H36 Mini RC Drone turns out to be the Best indoor flyer under $20. After ton of research the JJRC H36 Mini sounds like a great indoor mini drone. With 3.7V 150mAh battery the drone offered a flight time of straight 6 mins. The charging time varied from 30-40mins. To make it fancier the JJRC H36 Mini Drone offers automatic 360-degree Flips which means you don’t need to be a veteran to show-off some cool moves. The props cut from 4 to 2 to blades. The fan design implied on the JJRC H36 Drone offers super safe, quite, and beautiful flight experience indoors. The device also comes with 6-Axis Gyro sensor which ensures a stable flight experience. You are also been offered bright LEDs in two different colors for safety on some night rides. Buy JJRC H36 Mini RC Drone for just $12.99! Also Read, Lenovo Air TWS Bluetooth Earphones Review! The GS – XXD158 is a lovely looking drone with light enabled propeller protector & sturdy build quality. The GS – XXD158 Drone in particular turns out to be a great choice if you’re just beginning with drones. It is great to play around and super easy to get used with the controls as they are straightforward. It’s real beauty can be seen when the light go down and the propeller protectors light-up. They are just mesmerizing in dark. The GS – XXD158 is a lovely looking drone with light enabled propeller protector & sturdy build quality. The GS – XXD158 Drone in particular turns out to be a great choice if you’re just beginning with drones. It is great to play around and super easy to get used with the controls as they are straightforward. It’s real beauty can be seen when the light go down and the propeller protectors light-up. They are just mesmerizing in dark. It’s a simple drone that you can gift someone who is interested to get into flying drones. The drone offers: One key takeoff / landing function, 360 deg flips, altitude hold function and also high-low speed controller! Buy GS – XXD158 Light Propeller Protection RC Drone for just $15.99! The JJRC H8 mini RC drone is a palm sized UAV that is sensational. It has flexible and most durable propeller guards and this drone is designed for indoors. It is highly portable and especially built for beginners, easier to move the joystick wherever they want to go in headless mode. One button press return is the feature where the user doesn’t need to put any effort for the drone to return to it’s starting point. They are built to do some amazing 360 degree flips to fly like veterans and can conquer tactics quickly in 3 dimensions. They hold a 2.4GHz 4CH DSSS transmitters ensures that H8 can fly farther without interference from other transmitters. While flying the drone in utter darkness, the built in super bright LED lights come in handy. The one to be noted is when headless mode is switched on, will be automatically shut down in 40 seconds when you turn on the 3D flips quadcopter. Battery is 3.7 volts, 150mAh built in that takes 5 to 7 minutes of stable flight, the charging time is around 40 mins and with low weight of 0.2000 kgs. It is super fast and the most popular model that’s exhilarating and when flown lower has more controllable power. They could have used a better transmitter that beeps while the quadcopter is in flight which is annoying and much slower comparatively to it’s predecessors and slower too. It is too noisy but is way too cool for this price. 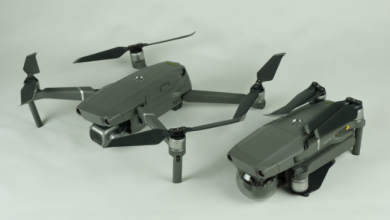 The TXD-GI could be a micro drone, but definitely a standing competitor in this list of Top Cheap Drones 2019. This mini drone has 2 versions, one with camera and one without. It is crash resistant and has pretty cool LED lights. With 3.7volts 350mAh LiPo battery and flight claimed to last for 8 to 10 minutes. The charging time is around 60 minutes and it weighs around 0.3750kg. The functions do work as promised, with a decent real time transmission camera of 0.3MP or 2MP wifi, the videos and images are passes on fairly. The barometer altitude hold is used to sustain the drone while it hovers over the landscape and freeze in firm pictures. All you need to do is press one button to initialize take off which makes it simple and faster and mush more convenient. The 360 degree rolling can be used to switch to different needs. They used 716 coreless motor. When the drone reaches low voltage or at weak signal, an alarm is raised to automatically notify. Hope you liked our list of the Top Cheap Drones 2019. In-Case we missed any cool quadcopter do let us know on the comments below. Until then Happy Shopping! Click Here for Best RC Gifts: Searching for the best Gift? Top Brand RC Toys Offers are here!